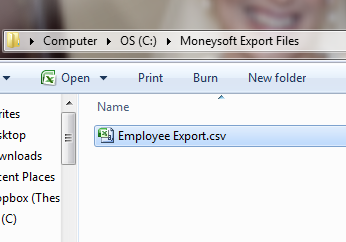 BrightPay facilitates the importing of employee information in CSV format from Moneysoft. This is an alternative option to using an FPS file to perform your import and can be a little more time-consuming. However, this method allows you to import more employee information than an FPS import allows, thus minimising or eliminating the need for further manual entry after import. 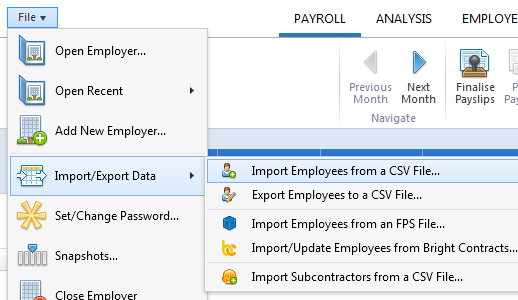 1a) First export your CSV file containing your employee and their year-to-date pay information from within your Moneysoft software. 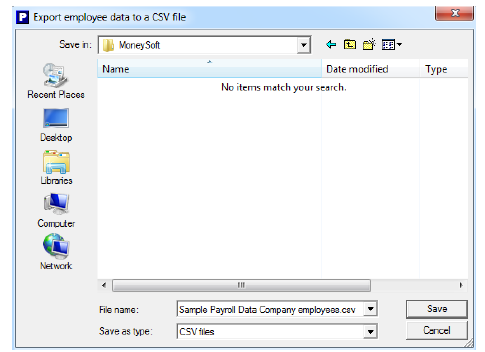 1c) Select a location to save your CSV file to and press 'Save'. 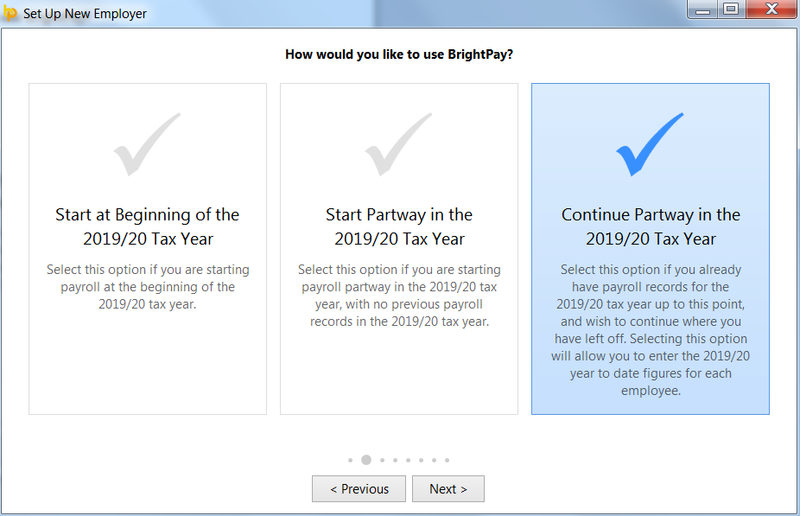 If you have already processed payroll in your previous software for the current tax year and wish to import year-to-date pay amounts as well as your employee information, you must select 'Continue Partway in the Tax Year'. 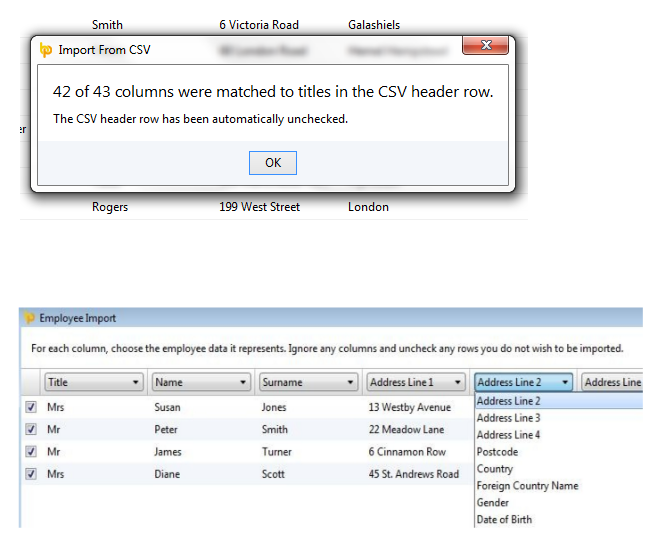 To assist with column selection, simply select 'Match Header Rows'. BrightPay will try and match as many columns as it can for you. Please note: should you have employee CSV files to import for more than one company from Moneysoft, simply instruct BrightPay to 'Remember Columns'. BrightPay will subsequently remember the column selection used in the previous import when next importing a new employee CSV file. 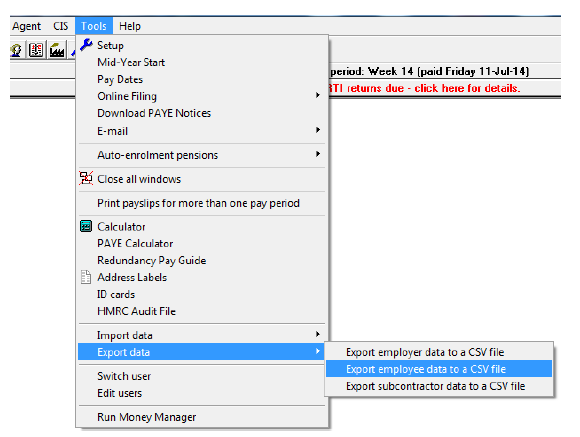 7) Click Import to complete the import of your employee information.